LinkedIn is one of the biggest social media platforms, with over 500 million active professional users. Advertising on this platform - where you can target your audience by job title, function, industry, and much more - is an integral part of any effective digital marketing campaign. DashThis allows you seamless access to LinkedIn Ads, so now, you can see all your data in one neat, beautiful dashboard. Create your LinkedIn Ads dashboard today! This trend widget shows the evolution of the total impressions, clicks and cost of your LinkedIn Ads over the time. This way, you can see how your numbers are changing, and the relationship each metric has with the others. This historic widget shows the total number of times people took a desired action after seeing your LinkedIn Ad. This action can be anything from buying a product or service, signing up for a newsletter… it all depends on your objectives and how you implemented the LinkedIn Insight tag on your website. This historic widget shows the total amount spent on your LinkedIn Ads, which will include the cost of your clicks and impressions. This widget shows each of your campaigns’ number of impressions, clicks and total cost. As a multi-column list, you can see all of your LinkedIn Ads at the same time to see which ones are working and which you still need to optimize. Want to see all our LinkedIn Ads preset widgets? This is the total number of times people took a desired action after clicking on or seeing your ad. This is the number of clicks on your ad. This includes clicks on the ad content and your company name and logo, but excludes some social actions such as likes, comments, and shares. This number shows how much social engagement your ad got. It is calculated by adding together the number of likes, shares and comments. This number combines the total number of social clicks with the total number of paid clicks your ad received. 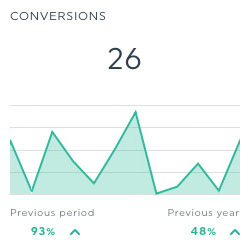 This is the percentage of clicks that led to a conversion. It is calculated by dividing the total number of conversions by the total number of clicks, and multiplying the result by 100. This is the percentage of revenue generated for every dollar spent. It is calculated by dividing the total conversion value by the total spent, and multiplying the result by 100. 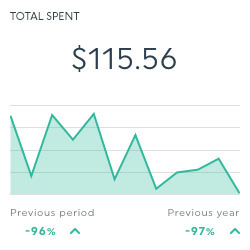 This is the average amount you spent on each conversion. It is calculated by dividing the total spent by the number of conversions. Want to see all our LinkedIn Ads metrics, segments & dimensions?